7 Scent Control Tips to Make Your Next Deer Hunt a Success! Deer hunting is a unique experience and being able to bag a fine animal is as much about hunting skills as it is about luck. While you can’t get much help on the luck part, you can definitely improve your deer hunting skills! Scent control is an important part of tracking and hunting down a deer, and if this aspect of deer hunting has always troubled you, you’ve come to the right place. Read on for 7 tips that will help you increase your chances of success. Decide what you’ll be wearing on the day of the hunt in advance so that you can get rid of all scents from the clothes. Wash clothes in scent-free soap or detergent and rinse them thoroughly. Be wary of soap residues as these can contaminate clothes and give off odors. Give clothes a final wash with a soap specifically meant for sportspersons or with baking soda. Refrain from using fabric softeners or dryer sheets. Hang clothes outside and let them air dry naturally- make sure they aren’t exposed to smoke or other foreign odors. Consider putting on a pair of latex gloves before handling gloves. Doing so will prevent bacteria from your hands transferring onto the clothes. Your hunting gear can warn deer about your presence too, so be sure to clean it all a few days before you intend to go hunting. You’ll need to clean equipment even if you’ve purchased it brand new from well-known and popular websites, you certainly don’t want your deer to know you’re out there looking to hunt it down! If you store your hunting stand or rubber boots in the basement or garage with various items like pesticides, gas cans, furniture, etc., odors from these items are sure to latch onto your hunting equipment. To eliminate odors, clean all hunting equipment with scent-free soap and water. You can also wipe down hunting gear with a baking soda and water mixture. Let all your hunting gear air out outside until it’s time to put it into use. You might want to wrap all your hunting clothes and equipment in an air-tight case so that it doesn’t pick up odors on the way to the hunting area. Keep scent-eliminating wipes handy so you can wipe down hunting gear and other articles before you get down to business. A scent elimination spray will also help deodorize everything. A week or two before the day you intend to go hunting, stop eating spicy foods. If you are a non-vegetarian, pick chicken and fish over red meat, and include more fruits and vegetables in your diet. Stop smoking cigarettes 24 hours prior to the hunt and during it to avoid bad breath. Refrain from consuming alcohol too as it can taint your breath and also exit your body through skin pores. To eliminate bad breath, brush teeth with a baking soda and water paste. Further, make a baking soda-water mouthwash and gargle with it every day. Don’t forget to floss your teeth and scrape your tongue! Bad breath and perspiration odors can also be eliminated by taking chlorophyllin copper complex tablets. Showering before you head out to hunt is important as it can reduce body odor. Use a scent-free soap and shampoo, and rinse your body and hair in a baking soda and water solution. Dry yourself with a towel washed in scent-free detergent and use a scent-free deodorant or anti-perspirant. Don’t forget to treat your feet to some baking soda or deodorant! If you put all your hunting gear on at home, you’re bound to pick up scents from your car and the surroundings. So let all your hunting gear remain in the air-tight case and take it all out once you reach your hunting spot. Do wear a pair of gloves when heading to your hunting spot and while putting on your hunting clothes so as to avoid leaving your body scent on trees and transferring bacteria onto clean clothes. Waking up early on the day of the hunt will leave you with enough time on your hands to get everything in order. You not only want to reach the hunting grounds on time, but you also want to approach your hunting spot slowly so as to not work up a sweat. If you happen to get late, don’t rush; perspiring will not do you any good! Approaching the hunting area and deer trails with the wind blowing from behind you can carry your scent to the deer and alert them. Research well in advance and make sure that you always have the wind in your face when hunting. Do change your hunting spot if the wind isn’t blowing in your favor! Whether you’ve tried hunting deer or you’re trying it for the first time, the scent control tips given here are sure to increase your chances of success. So what are you waiting for? 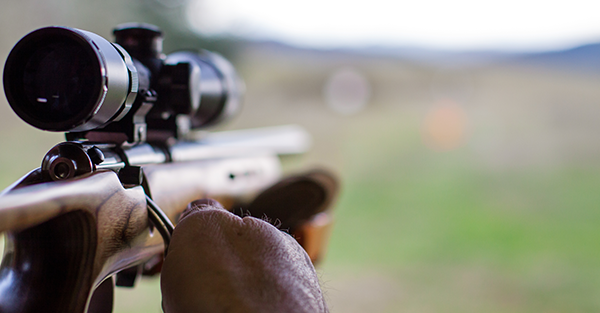 Get started with the preparations so that you’re all set for the next deer hunting season! By: Judith Wright is the author of this post. She is a passionate blogger who loves blogging on hunting, adventurous and outdoor activities, fishing, hiking etc. She also likes spending time in traveling with friends and family when she has free time.